Rite Rate is the trusted plumbing, heating, and air conditioning company in Woodland Park, NJ! We offer affordable services for your commercial and residential plumbing and HVAC systems. Rite Rate specializes in providing services like faucet replacement, air conditioner installation, and heating repair. We offer an array of services including installations, maintenance, repairs, and replacements. Whatever you need done to the plumbing or HVAC system of your home or business, Rite Rate has your back. We’re the go-to plumbing, air conditioning, and heating company in Woodland Park, NJ because we’re available 24/7 and guarantee 100% customer satisfaction. We’ll be happy to assist you day or night so call us anytime for a free estimate! Have you noticed your boiler, furnace, or hot water heater is leaking or broken? If the heating system constantly shuts off or there’s no hot water, there could be something seriously wrong. At Rite Rate, we provide heating repair in Woodland Park, NJ that’s available 24/7! We’ll fix anything broken, damaged, or worn out including parts like the heat exchanger, pilot, burner, fan, or blower. Our team of professionals can also install or replace all makes and models of commercial and residential heaters which include gas, electric, dual fuel, or oil boilers, furnaces, hot water heaters, tankless water heaters, and tank water heaters. We’ll also provide scheduled heating maintenance to help you avoid unnecessary repairs and replacements down the road! Don’t hesitate to call our heating company if you need heating repair, replacement, maintenance, or installations! Did the AC break down in the middle of the night, on a weekend, or on a holiday? When you need an affordable and reliable air conditioning company in Woodland Park, NJ, call Rite Rate! Our air conditioning services include maintenance, installation, replacement, and repair. All of our techs are fully certified to handle any make or model of commercial and residential air conditioners. We can service all central air conditioners, packaged air, heat pumps, forced air, ductless air conditioners, and air handlers. Our team can also replace any AC system or worn out parts like the AC compressor, coils, fan, or AC condenser. Additionally, we’ll offer to install new AC’s and will provide routine maintenance on them annually. Did a frozen pipe burst and flood your home or business? Is the bathroom or kitchen sink and faucet leaking or clogged? If you experience problems with the plumbing in your home or business, Rite Rate is your go-to plumber. There’s not a clog, leak, or broken pipe we can’t fix! 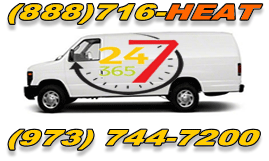 We work around the clock 24 hrs a day 7 days a week to be here for immediate plumbing repairs. Our plumbers can install, repair, and replace toilets, showers, sinks, faucets, drains, and pipes. We’ll also replace or install these plumbing fixtures at affordable rates. Are you in need of drain and sewer cleaning or water damage restoration? Rite Rate offers extensive plumbing services so call us anytime 24/7 for a free quote. Whatever plumbing issue you have, Rite Rate has the solution! For a quality plumbing, air conditioning, and heating company in Woodland Park, NJ, call Rite Rate!